The host Steven Michael Quezada is amazing! He does a lot for our community and the After After Party is very welcomed and highly regarded. 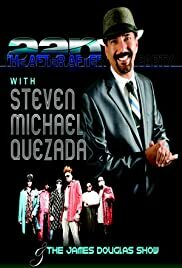 We are incredibly blessed to have Steven and the After After Party in our area. The show is very entertaining and definitely one of my favorites. My favorite episode was when Steven brought the cast of Breaking Bad to the show. The host did an excellent job of presenting the cast, asking interesting questions and keep everyone highly entertained. After the show the public was able to take pictures with a member of cast. This was a once in a lifetime opportunity for many people are greatly appreciated. Steven has a hilarious sense of humor, incredible guests and a wonderful band. The James Douglas Band plays the best songs and has a very addictive and unique style. The show is definitely worth watching! I hope the After After Party get picked up across the nation so others can enjoy!